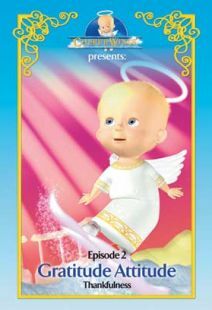 Using a combination of colorful 3-D animation and live-action, Cherub Wings is an entertaining and inspirational production geared for young children. 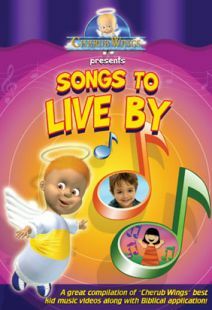 Motivated by his endearing love for little children, Cherub Wings, a spirited full-of-life angel, is commissioned by God to present a variety show that will help kids grow in faith. The result is a celestial array of songs, storytelling, object lessons and interviews with children that teaches as well as entertains. Each episode includes a visualized prayer, an illustrated Bible story, two high concept kid music videos, a Jesus quote, a Scripture song, interviews, and loads of fun! Recommended for ages 3 - 7. 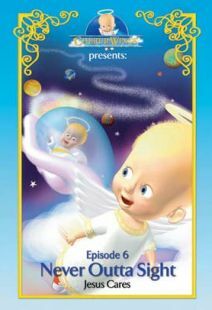 Episode 1: Little Things -- More than anything else, Cherub wishes to share Heaven with children everywhere! What a surprise when Jesus commissions him to do so, resulting in a fun-packed visual delight of a program! From visualized prayers to captivating songs, "Little Things" teaches children that even the little things we do for God can have big effects! Episode 2: Gratitude Attitude -- Chase away your frown! Turn it upside down, and bring the joy of praise into your heart with this entertaining video! Gratitude is a great attitude! 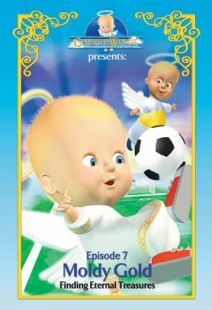 And this "Cherub Wings" episode shows us how to bring sunshine to dreary days. 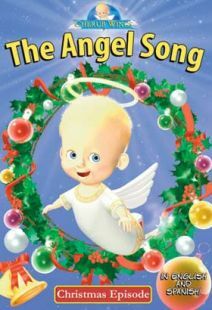 Episode 3: The Angel Song -- It’s the special time of year when angels are more likely to be heeded; the season when one particular angel is being chosen from among many, to convey the essence and joy of Christmas day. Join Cherub and the choirmaster as they experience the warmth, hope, anticipation and joy of the birth of a tiny little boy whose seemingly insignificant birth would echo hope for centuries to come. Episode 4: Following God's Call -- When little Samuel heard God calling him, he replied, "Speak Lord, for your servant is listening!" And so began a fascinating life of dedication to God's service! Children will also see how Jesus called Peter and Andrew to follow him as disciples and learn how Peter and Andrew's devotion to Jesus grew as Jesus gave them a huge catch of fish after they had tried all night and caught nothing. Episode 5: Heaven's Troopers -- Obeying God's Word -- Just as exercise and eating nutritious food help our bodies to grow strong, so does reading the Bible and obeying God's Word help strengthen our spiritual lives! 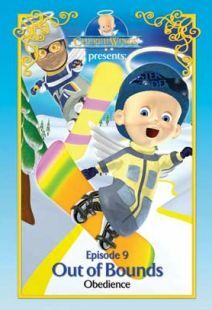 Join Cherub and his friends as they take us through the fun steps of Bible fitness and discover that reading God's Word helps us to be obedient. Children see how God can use young people to serve Him just as Daniel, Samuel and Josiah did. Episode 6: Never Outta Sight -- Jesus Cares -- Little children sometimes feel that they're just too small to be of any significant value. But through this lively video they'll learn that not even one sparrow can fall to the ground without God knowing it. He even knows the number of hairs on our heads! Episode 7: Moldy Gold -- Finding Eternal Treasures -- "I like this! I like that! I gotta have more! I want this! I want that! I want the whole store!" Everyone experiences "the gimmes"- that seemingly endless quest for the things that we think will make us truly happy only to end up wanting more! 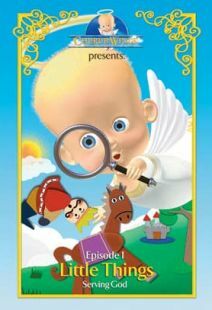 Join Cherub as he takes us through an adventurous treasure hunt in search of eternal jewels left for us to discover in God's Word! Episode 8: Ooops! Sorry! -- "Ooops!" "Sorry about that!" "Please forgive me!" The reason these phrases ring a bell is because we so often need to use them! Everyone makes mistakes and needs to be forgiven and to forgive others. 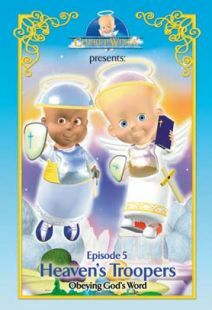 Join Cherub and Chubby in this funny adventure as they learn the true meaning of Jesus' instructions to "forgive from the heart." Episode 9: Out Of Bounds -- This program teaches children about obedience and shows them the blessing of doing what is right. Just think of what it would be like to do just as you please. No rules, no limits, no restrictions! Pure fun! -- Or would it be? In "Out of Bounds" Cherub and Chubby learn that doing just what you want may end up being just the opposite of what you expected! From cloud-boarding thrills to the mad-house craziness of a no-rules day, this Cherub Wings adventure brings great delight while highlighting the benefits of healthy guidelines. 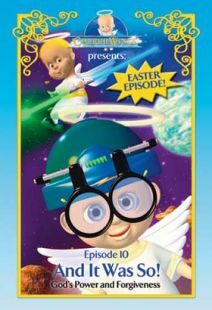 Episode 10: And It Was So -- In this Easter episode of Cherub Wings, a rousing space-chase in cherub chariots topple Cherub and Chubby into an awesome awareness of God's mighty power! Children will see the ultimate act of forgiveness in the crucifixion and will marvel at the power of God in the resurrection. They will learn that by accepting Jesus' gift of forgiveness, they can receive him as Savior. Episode 11: Shine Your Light -- Before Jesus left the earth, He commissioned His children to carry on His work by telling as many people as they could about Him. But how exactly can this be done? 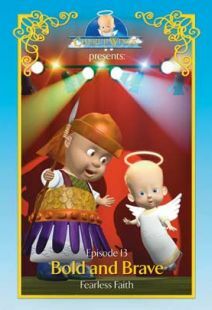 In this program, Cherub and Chubby help children explore practical ways to let God's light shine in their hearts so they can share the message of Jesus' love with others. Episode 12: King's Castle -- Our Hearts As Christ's Home -- Keeping a clean and tidy home is very important, but there is another house that everyone has—which needs just as much care and attention. 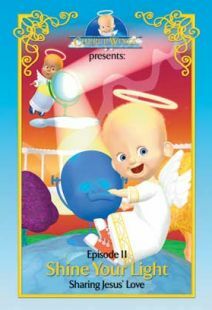 In their own humorous and light-hearted way, Cherub and Chubby help children to understand that keeping their hearts clean and pure is just as important as caring for their surroundings. Episode 13: Bold And Brave -- Fearless Faith -- Sometimes we can be a little shy about our faith, and fear of what others will think of us looms like a giant along our path. But just as little David's faith in God gave him the boldness to face giant Goliath, God can give us the courage, boldness and joy to stand up for our faith! 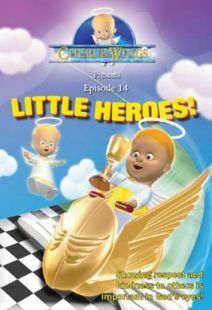 Episode 14: Little Heroes -- In this new Cherub Wings episode Chubby learns that the truly great heroes in God's eyes are those who are willing to be humble, just like Jesus was on earth! Episode 15: Choices, Choices! (tackling temptation by choosing God's best) -- This episode teaches children the benefits of heeding the Bible and praying when faced with difficult choices. “You dare me to what?”– “I’m not sure I should watch this!”– “I don’t think that’s a good idea!” Every day we are faced with choices, new experiences, dares and even temptation. 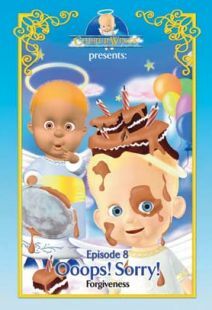 Episode 16: Songs to Live By -- A fun-filled hour of the very best kid music videos from the popular “Cherub Wings” animated series. This has been the best series of any of the children's productions I have viewed so far. The lessons take some difficult teachings from the Bible and break it down so that even adults er I mean children can understand LWL I have been amazed with each one. Very entertaining great teaching spreads cheer to put a spring in your daily step. Love them all! Valerie - Best kids movies ever! Absolutely love this collection! The dvds not only minister to the kids but to me as well. 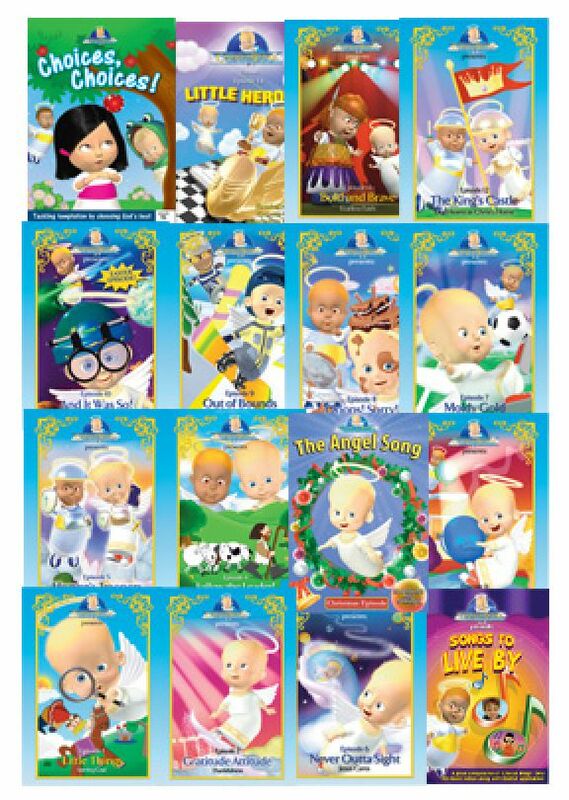 They are an excellect tool in helping teach the children God's word. I would recommend them to all parents and churches. Nadia Smith - Love it! I am so happy that this series is available for purchase. 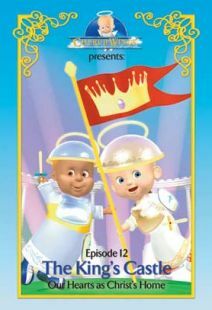 I used to watch it with my niece years ago on EWTN. It's not on there anymore and now with two little girls myself, I was searching for this series and found it! It's the best in teaching them virtue! I'm so excited for them to get this special package in the mail! Thank you!! !